China is a newcomer to the region of Central and Eastern Europe and, unlike other traditional powers, its aims and activities have been neither covered nor properly understood. The project China Observers in Central and Eastern Europe (CHOICE) aims at filling this knowledge gap. It establishes an inclusive forum of China watchers from the region of Central and Eastern Europe (CEE). It aims at forming a consortium for monitoring and evaluating the rising influence of the People’s Republic of China in countries of CEE, which participate in the China-proposed 16+1 initiative. The consortium provides a platform for sharing information, best practices and lessons learned from various China-related projects and activities conducted by its members and facilitates discussions among members as well as general public. The goal of CHOICE is to critically assess and analytically dissect 16+1, Belt and Road and other China-led initiatives. By establishing a forum of independent experts and practitioners from the region, CHOICE strives to build a multinational platform for open discussion, experience-sharing and independent assessment. 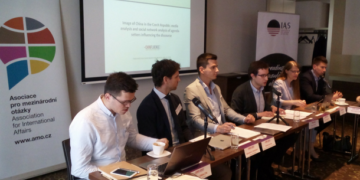 The working model for CHOICE is network-based – we facilitate contact, serve as a primary source of information in English on China’s activities in 16 CEE countries and create synergies to support future projects. CHOICE online platform disseminates analyses, articles and op-eds of its members. It also features video statements of leading China experts from within as well as outside the region on various China-related issues. Thus it promotes the voice of China scholars from the region of Central and Eastern Europe and helps in connecting them with other China-studying institutions, research bodies and individuals. Project CHOICE was designed and has been coordinated by the Association for International Affairs (AMO) since July 2018. CHOICE has been supported by the National Endowment for Democracy. Follow the CHOICE through it website, Facebook and Twitter. In order not to miss the news from the project, you can also subscribe to CHOICE newsletter.